The beginning of the New Year is just a day like all the rest. Do not wait for a new year just to make one. The year 2015 is coming to a close. Just like the other years that had come and gone, it will become the past a few days from now. As the year is nearing its imminent end, we will again be encountering the words New Year’s resolution. A lot of people say, “A new year has started again. A new year, a new me.” We get really very excited and start making resolutions for the coming year. The reality is that majority rarely stick to them. If you randomly ask anyone if they remember their resolutions of last year, there is a high probability he or she forgot all about it already. Is there anything we can do? Yes, there is. As long as a person has the will, he has a way. Here are a few tips on how to make resolutions this year that may be able to make a change in your life. 1. Do not hurry up and make into resolution ideas that come into your mind. There is no rush. Remember, haste makes waste. You might end up not doing it at all. Do carefully evaluate your situation. Take your time and think twice or thrice before you decide on which area of your life needs a good resolution. You can apply the SMART principle —Specific, Manageable, Attainable, Realistic and Time-bound. You can also ask yourself questions like which do you procrastinate often and why, what do you want to become, what are the values you believe in. 2. Do not come up with a list of 100 goals and start pursuing them. Chances are that you will not be able to finish all. This will only mean disaster and will demotivate you to do one again for the succeeding years. Do simplify your goals or resolution by making a list. Choose and limit by prioritizing the most important and urgent ones. Give focus to the selected goals. Having a list of at least five is good enough. Then if you are already comfortable with the current, you may opt to increase your list. Just make sure that you keep your focus. 3. Do not procrastinate once you set your resolution. Procrastination is the thief of time. The more you procrastinate, the more you never achieve anything. Do act on your plan. Result will be realized only if the person put into action what he or she wrote. A better idea is to post your written plan or goal so that it will remind you every day of what you promised to yourself. 4. Do not bond and listen to negative people. These people who discourage you are people who failed in their own resolutions. Do not let these people influence your thinking. You owe it to yourself to make your resolution a reality. Do learn from the mistake of others when they fail in their resolution. Ask them what happened to their goal and why they failed. Be accountable only to yourself. Maybe you can share your plan to your trusted friend or relative who will give you moral support to reach your goals. 5. Do not compare your resolution with others. This is very similar to keeping up with the Joneses. By comparing, you might end up reaching up for their goal which will not, in any way, contribute to your overall improvement. Do reward yourself when you have reached your goal. This will motivate you to make your other resolutions become a reality. 6. Do not expect things to change immediately. Remember that it takes time and effort to see changes. Do not be disappointed if the process is slow. This will help build patience and discipline. Do start with small changes. Little changes can become big changes over a period of time. For instance, if you want to lose the weight, keep the soda out of your mind and take a walk daily. 7. Do not be lead into temptation. Stay away from anything that can lead to disaster. For example, if you’re trying to get your financial house in order, then do not own a credit card which makes spending a lot easier. The harder it is for you to make a purchase, the better off you will be. Do surround yourself with people with positive mind-set. As the saying goes, “Birds of the same feathers are the same birds.” As an example, if you have good personal finance people as your network, you become good at your own personal finance. Do not be pressured into making a resolution just because it is new year. The beginning of the New Year is just a day like all the rest. Do not wait for a new year just to make one. You can make yours anytime of the year. Just be serious about your resolution so that it can change your life. 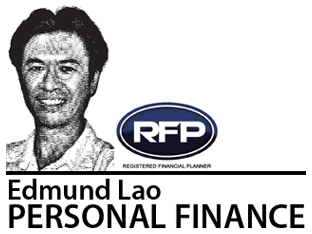 Edmund Lao is a Registered Financial Planner of RFP Philippines. 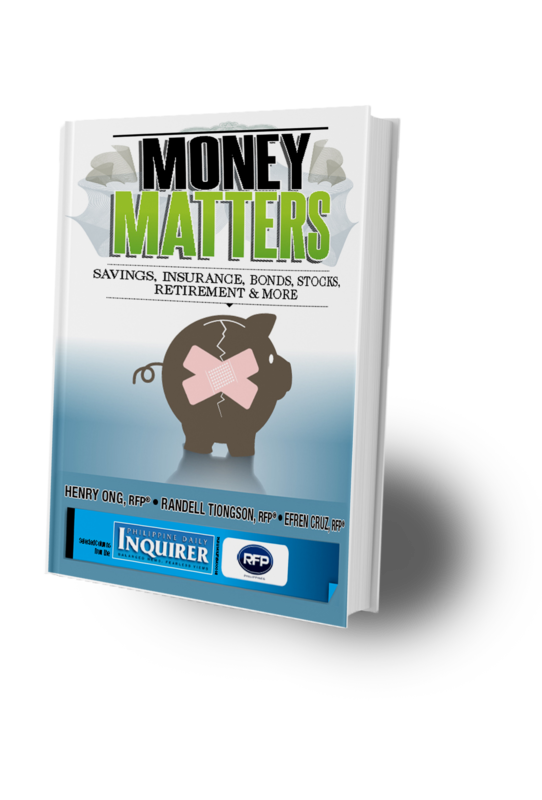 A sales engineer by profession, he is an advocate of financial planning.